Idaho is home to several young volcanoes, including the Craters of the Moon, Wapi, Kings Bowl, North and South Robbers, Cerro Grande, Hell’s Half Acre and Shoshone lava field. nothing is to be seen but lava.” However, others recognized the beauty and scientific value of the area, and in 1924 it was formalized as a national monument. An interesting feature of Craters of the Moon is that about the same volume of lava was erupted during each episode; therefore it is considered to be “volume-predictable.” Volcanologists therefore expect the next eruption to produce 1-1.5 square miles of lava. 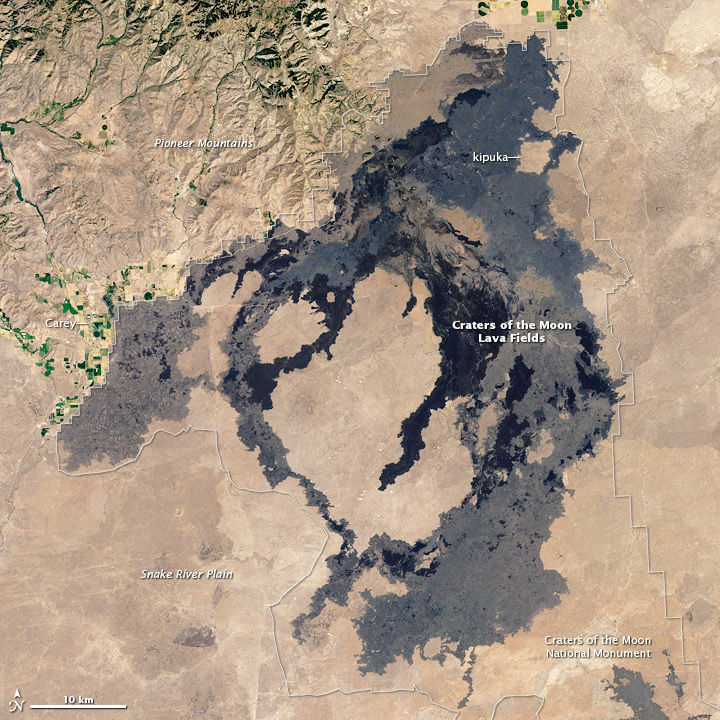 Volcanic eruptions at Craters of the Moon occur along fissures in the northwest-to-southeast trending Great Rift volcanic rift zone, which is aligned parallel to active faults adjacent to the Snake River Plain. 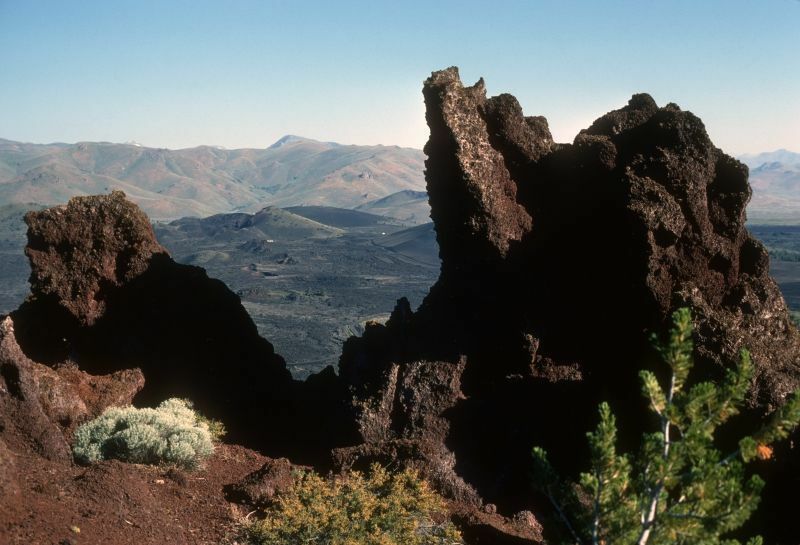 Because of their young age, the volcanic rocks at Craters of the Moon preserve many volcanic features, including domes, cinder cones, shields and lava flows with characteristic structures (like pahoehoe ropes), lava tubes, spatter ramparts and pressure ridges. While Craters of the Moon will almost certainly erupt again (perhaps within the next 1,000 years), it is not considered a high-risk volcano. Earlier this year the U.S. Geological Survey published their 2018 update to the National Volcanic Threat Assessment, which is an effort to prioritize research, monitoring and mitigation at volcanoes in the U.S. The threat assessment categorizes volcanoes as very low, low, moderate, high and very high threats. Four volcanoes in Idaho are listed in the threat assessment, all of them described as “low” threat: Craters of the Moon, Hell’s Half Acre, Black Butte Crater and Wapi Flow. Nevertheless, we remain vigilant to the volcanic threat in Idaho, with regional monitoring stations well established to warn of any potential future activity.